PS Waverley, Glasgow Science Centre, Sat 18 November 2011. The preserved paddler is moored for the winter. 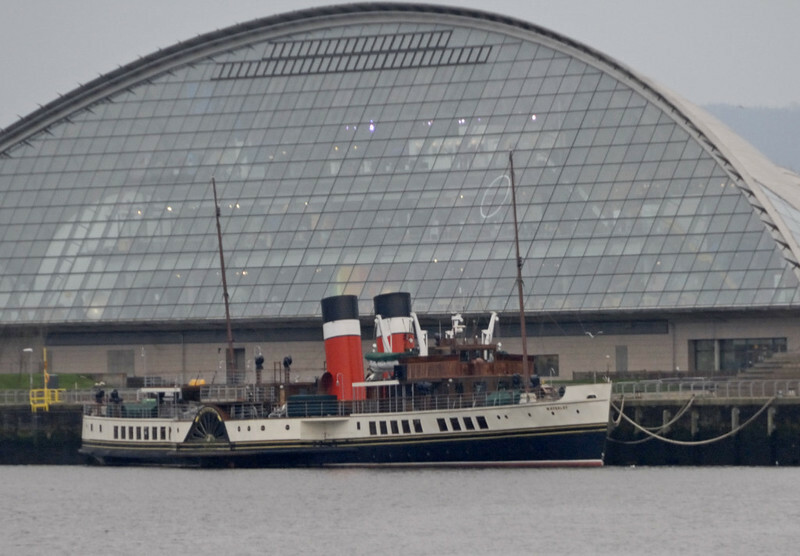 She was built in Glasgow in 1947 for the LNER by Inglis (whose site is now occupied by the Riverside museum). Since withdrawal in 1973 she has carried out coastal cruises around Britain.